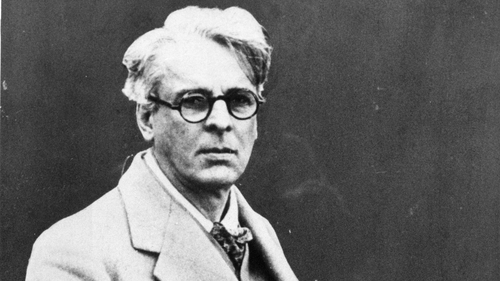 Newly discovered film, which has lain unopened for decades, has shed new light on the funeral of WB Yeats. The Nobel Laureate died in France in 1939, but his remains were repatriated to Ireland just under a decade later and brought to their final resting place in Drumcliffe, Co Sligo. Now, over 70 years after the burial, previously unseen colour film of the event has emerged which had lain in a box in attics and wardrobes in several different houses around the country. The film was shot by Jimmy Garvey from Castlebar. He was a sax and bass player in his brother's orchestra, the very popular Stephen Garvey Orchestra. Jimmy died in 1955 and a box of film and other items was left to his nephew Charlie. He in turn passed the box on to his nephew Alan Aston who now lives in Mountbellew, Co Galway. Alan said the box has moved with him and been kept in wardrobes and attics in about five houses but at the end of last year he finally decided to have it digitised and see what was on it. There was nothing written on the can to indicate what had been filmed, but when Alan had it transferred he recognised Ben Bulben and Drumcliffe and wondered if it would have been Yeats' funeral. When he contacted Susan O'Keeffe, the Director of the Yeats Society in Sligo, she was sceptical, wondering how could it never have been viewed before or if perhaps it was a copy of other film in existence. When she saw it though, she knew it was the real thing, with footage showing Éamon de Valera, soldiers, local dignitaries, clergymen, lots of townspeople and members of the Yeats family gathering at Drumcliffe. Alan has now donated the film to the Yeats Society in Sligo which this year celebrates the 60th anniversary of its foundation and International Summer School. Ms O'Keeffe says the donation is very special to the society, particularly on this anniversary year. She also said that a great fuss of the film will be made at the 60th Summer School in July. The film will also be on permanent display in the Yeats Building at Hyde Bridge in Sligo, something which is particularly important to Alan Aston, who feels that after decades in wardrobes and attics, the film should now be out in the open and shared with all who want to view it.